I just finished some modest updates to one of the bathrooms in my 1971 home. I say that because the results are dramatic but the cost was modest. The original tile in this room was in perfect condition however the grout in the floor tile was on it's last legs. But after "working" with this color for the past nine years, I was over it. 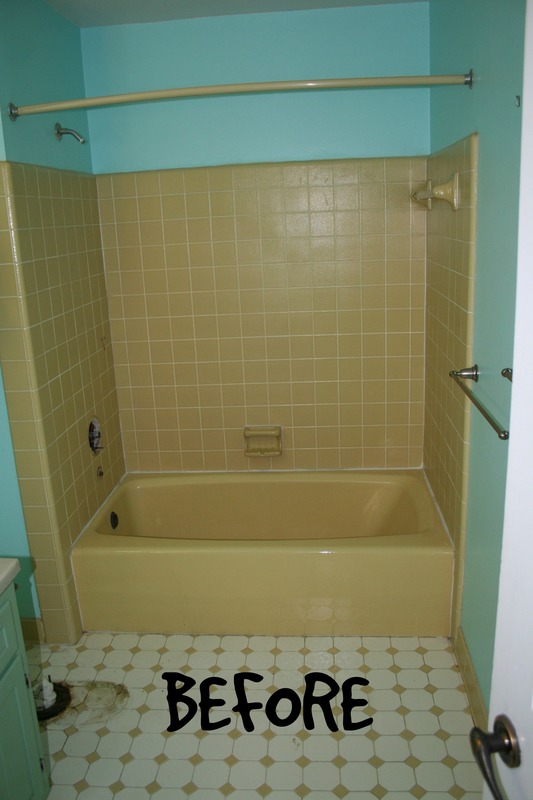 This tile is the color of bile. Not a cool 70's chartreuse, just vomit green/yellow. I really didn't want to start over in this room. I'd been considering tile reglazing and then I read about Sarah's experience with Miracle Method over at my fav blog, Retro Renovation. So I found my local Miracle Method guy and we struck a deal. 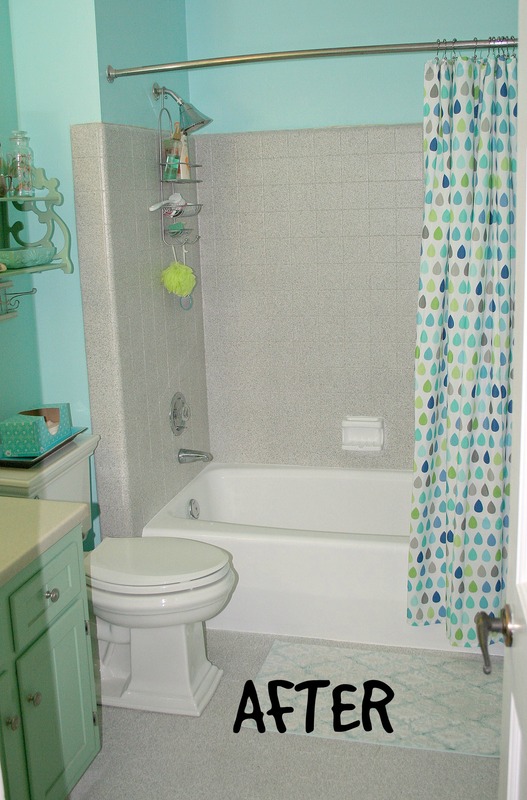 I opted for a white tub with a stone granite finish walls and floor. The original wall tile already had a texture to it so a smooth finish was not an option. I loved the pattern in the floor tile, but the grout was shot so I chose to seal it with the glaze. 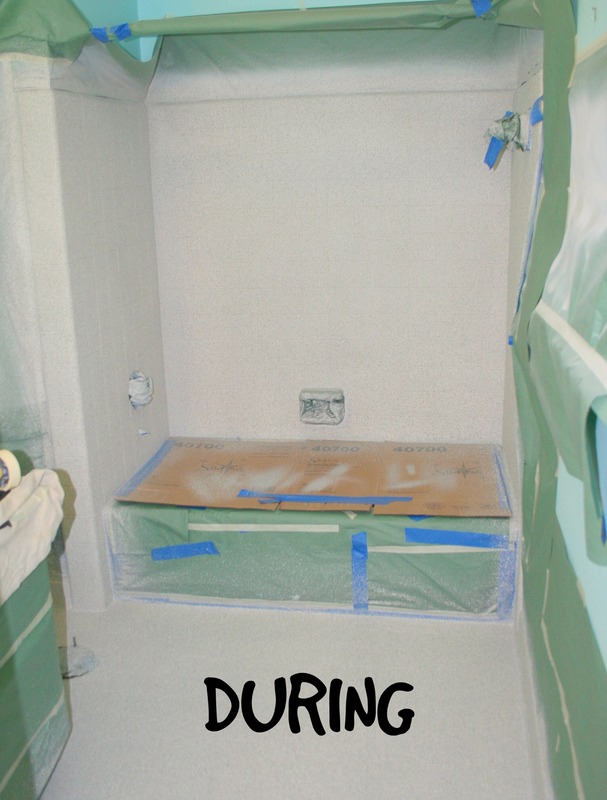 First the tub was coated white, then everything was reverse wrapped and the walls and floor were next. Today the plumber came and installed the new potty and we are done. Randy, the owner of my local Miracle Method and Ben the installer were a pleasure to work with. 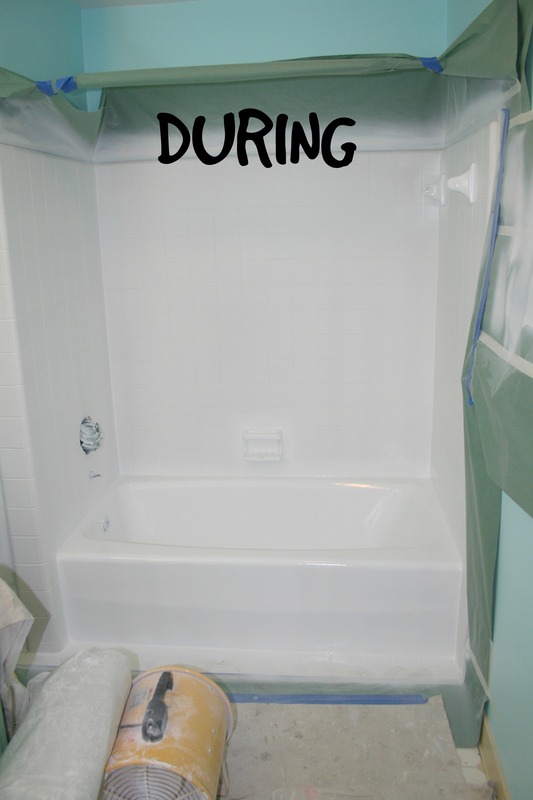 My old tub and tile have been given a fabulous new life. Impressed! What a remarkable change!